There are many different mixers that are used as part of recipes for drinks. Some mixers need to be kept refrigerated some do not. Some mixers are dispensed from a bottle or can whereas some are found on the soda gun. 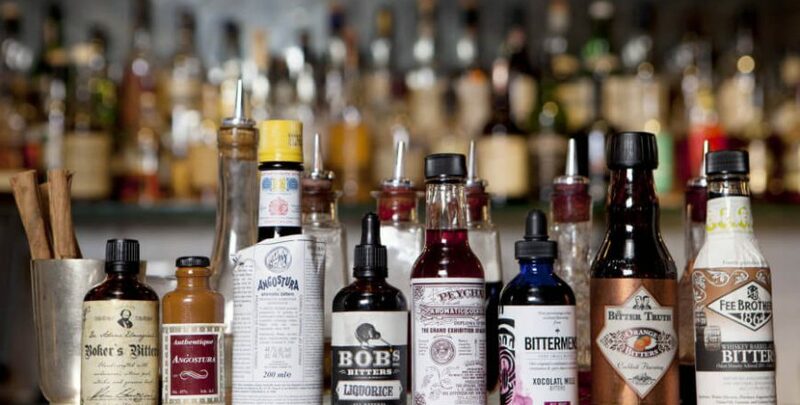 Here are the various mixers that are typical for use behind the bar. Soda Gun mixers – These mixers are either sodas or juices that come as concentrated boxed syrups that mix with water or water-co2 (depending on whether it’s a juice or soda). Soda gun mixers are kept in the back of the house where co2 tanks are kept as well as racks for all the boxed syrups. In this lesson, you will learn about all the popular soda gun mixers.